Dan and Derek continue the book club with special guest, lead developer Caleb Grace! 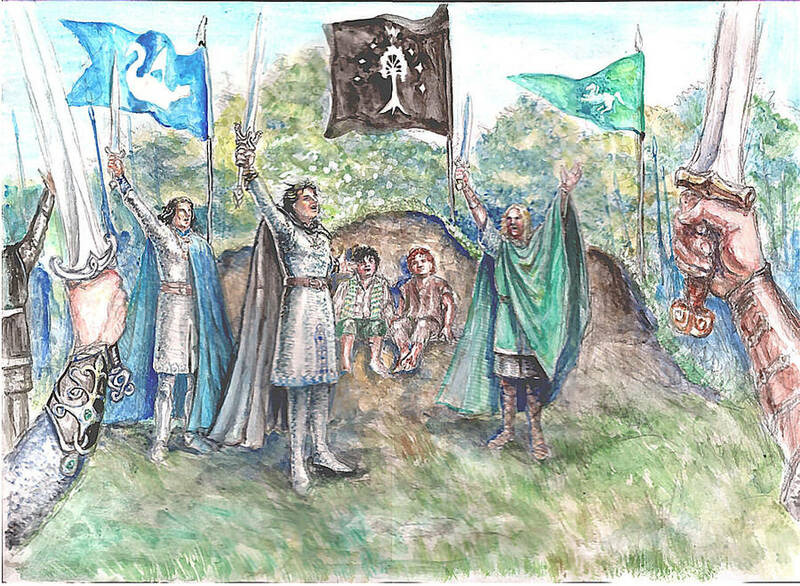 We hit The Field of Cormallen, The Steward and the King, and Many Partings. Dan, Derek, Ian and special guest Sierra continue the book club. We made it to Mordor! Chapters include, the Tower of Cirith Ungol, The Land of Shadow, and Mount Doom. “For the first three chapters of Book 6, I came up with three player cards related to Sam, since we’re mostly following his point of view. That’s why I had them all be Leadership, although some of the effects might fit more naturally in Spirit. I also designed the cards so that they would work well for the Mount Doom quest. Dan, Derek, and Matthew chat about our experiences at Con of the Rings last week at Fantasy Flight Games Center! We also announce a giveaway we’re having for our patrons. Next episode we will announce the randomly drawn winners of our giveaway! We’ve taken a collector’s edition and broken it up. Current patrons are already entered for a chance to win one of everything: a copy of the limited edition 2 player starter box and the Mithril Edition Steam code for The Lord of the Rings Living Card Game on Steam. If you sign up as a patron now, you will be entered to win (separately) the art prints, replica ring, and playmat along with current patrons. Dan, Derek, and Matthew just got back from Con of the Rings 2018, and we’re giving you two episodes of content to help recap this epic event. First and foremost is our interview with Tim and Luke of Fantasy Flight Interactive. We think you’re going to love this conversation. Next week we’ll have our own personal recaps! This episode brought to you by our Patrons! Derek here. I posted these on the Steam forums for FFI and thought I’d post them here as well for those interested. What do y’all think about the video game adaptation so far? I post now my thoughts on early access so far after a week of play. While I’ve only logged about as many hours as some of you did on day one, I thought it important chime in on behalf of the casual/tabletop-experienced/super-handsome crowd. This is mostly just anecdotes; not a lot of bugs to report or specific card changes to suggest. My issues lie mostly with UI/UX. It feels quite clunky compared to other digital card games, but I’ll get into that later. Tl;dr I love it so far and think it captures the vibe of the tabletop, despite a few minor issues. 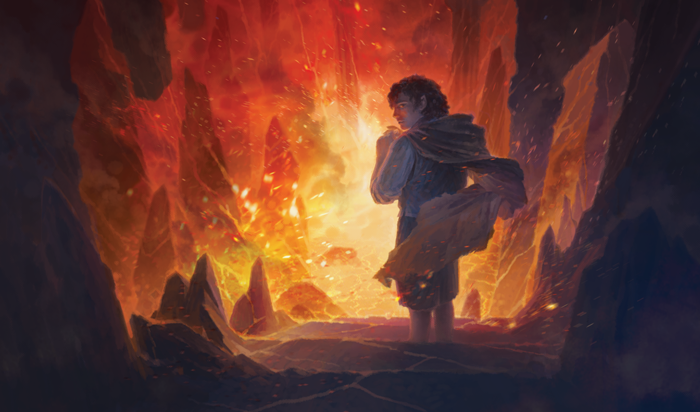 Dan, Derek and Matthew discuss the new digital Living Card Game and spend some time cracking into The Last Debate and The Black Gate Opens, as we finish book 5 in our book club! This episode brought to you by our Patrons! Thanks and see you at Con of the Ring next month! 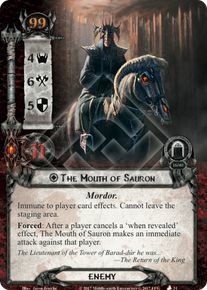 LOTR LCG Early Access Stream Tonight! Join us over on our Twitch channel tonight at 8pm East! And if you missed it, it’s now up on YouTube.